Adam Sobel is a professor at Columbia University’s Lamont-Doherty Earth Observatory and School of Engineering and Applied Sciences. 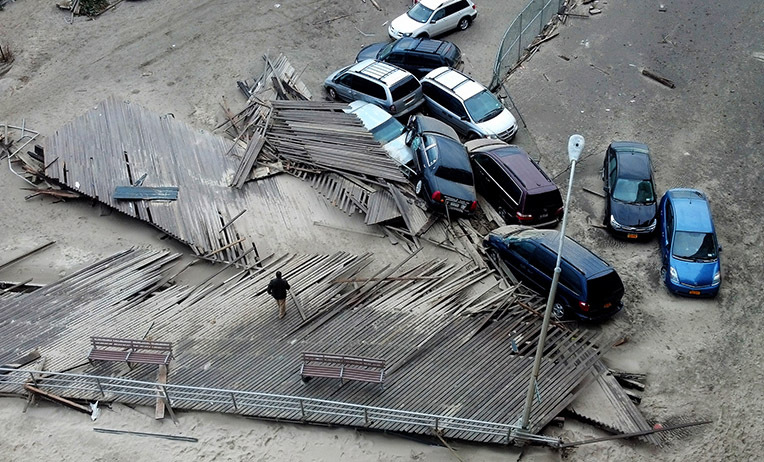 This was a couple months after Sandy. My neighbor had learned during that event that I was a meteorologist. I had been able to explain to him some nuances of the forecast in the days before landfall, and now he trusted me. He wanted me to give him the real story behind this incoming storm. The cone of probability for Hurricane Joaquin as of Wednesday at 2 p.m. Eastern time. My neighbor had learned, as had most of the U.S. population by then, that there are multiple weather models, and that the one from the European Centre for Medium Range Weather Forecasts had done a better job in Sandy than did the American model, the Global Forecast System run by the National Oceanic and Atmospheric Administration. He imagined that, with my professional connections, I could find out the real story, the one he wasn’t getting from the public forecasts. That being the European model’s prediction. I explained to him that first of all I am an academic meteorologist, not a forecaster. I can’t beat the National Weather Service at what they do. So I told him that I get my knowledge of what is going to happen first and foremost by reading what the forecasters at the NWS are saying. The forecasters are looking at all the models — the European and every other one — and coming to their best judgment about what is most likely to happen based on all of that information. I can and often do look at the raw information myself, including the model output as well as the observational data showing the current weather. I have the training to interpret that information, and I can tell a more detailed story to my friends and family about it than they may get from the TV — about what the uncertainties are and why. But there is no secret information that the forecasters are hiding from the public, no straight dope that I can get by calling someone on a Bat-phone. Now there is Hurricane Joaquin offshore. It has been an unusually uncertain situation, with the forecasts changing more rapidly than usual since Monday, when the storm first started to show up as a potential landfall threat in some models (yes, including the European). The storm has intensified more, and more quickly, than the predictions so far, and while the track forecasts have been jerky from one to the next, they seem to be trending towards a landfall in the mid-Atlantic to northeast US. There’s good reason to be concerned. 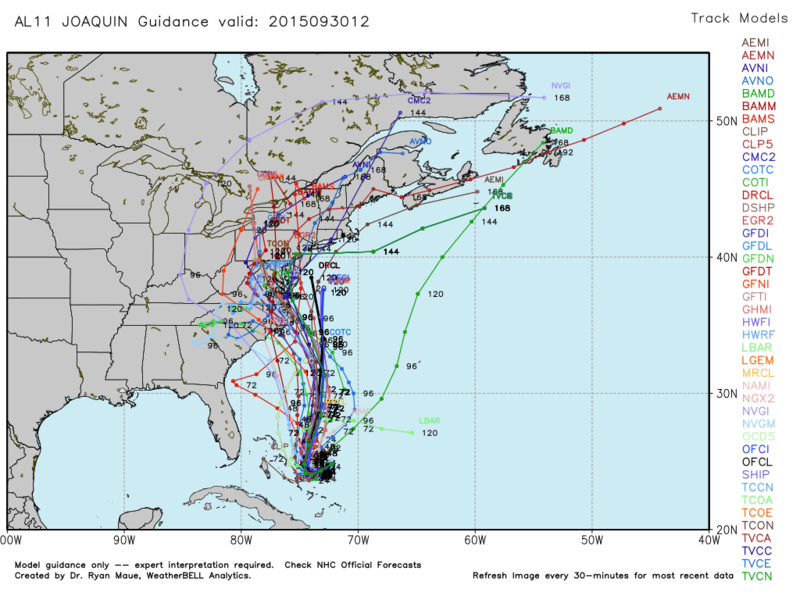 A spaghetti plot showing possible outcomes for Joaquin. Yet the uncertainty remains large, and there is some frustration out there. Why can’t the forecasters get their story straight? What is really going on? On Twitter yesterday, I read an exchange between a NWS forecaster and a knowledgeable (but not meteorologically trained) citizen who was, like my neighbor three years ago, trying to get the real story. The forecaster’s replies didn’t have any information that wasn’t already publicly available: the forecast is what it is, and it’s still quite uncertain. Stay tuned, be prepared. The citizen seemed to find this evasive, and at some point said (my paraphrase) “But I know some models are better than others,” implying that the forecaster was withholding the good stuff. The forecasters are not withholding the good stuff. The scientific information they are transmitting to you is inherently uncertain. The uncertainty is not something the forecasters are putting in there; it’s in there from the start. They are not being evasive. They are telling it like it is. Ed Lorenz, the father of chaos theory, taught us in the 1960s that there is a limit to how far in advance the weather can be predicted, no matter how good we ever get at it. We are not quite at that limit yet; the models, and the forecasts derived from them are good (amazingly good, really, by the standards of a decade or two ago) but could still be better. But not that much better. We’re close enough to the inherent prediction limits Lorenz discovered that the uncertainties in our forecasts are already, in part, consequences of the atmosphere’s inherent unpredictability. But whether it’s because of fundamental limits or flaws in the models doesn’t matter much for today’s forecast. Those models are what the forecasters have to work with. The forecasters are looking at all the models because that’s the right thing to do to get a sense of the possible range of outcomes. They are interpreting that range as well as they can to come up with their best forecast. If anything, the public forecasts from the NWS (and many other sources, including the Weather Channel, etc.) understate the uncertainties – stating some parts of the forecasts as precise numbers rather than ranges of possibilities - because they are not sure the public can understand probabilities well enough. Whether that's true or not, with so many sources of information online now, the uncertainty comes through in any case, for those who are looking. And there’s nothing to be done about it. The science will keep getting better, but there will always be uncertainty – it will just move a little further out in the future, and our expectations will increase accordingly. The debate today is over whether there will be a U.S. landfall now in five or more days’ time or not; 30 years ago there would have been no point in even having that discussion. 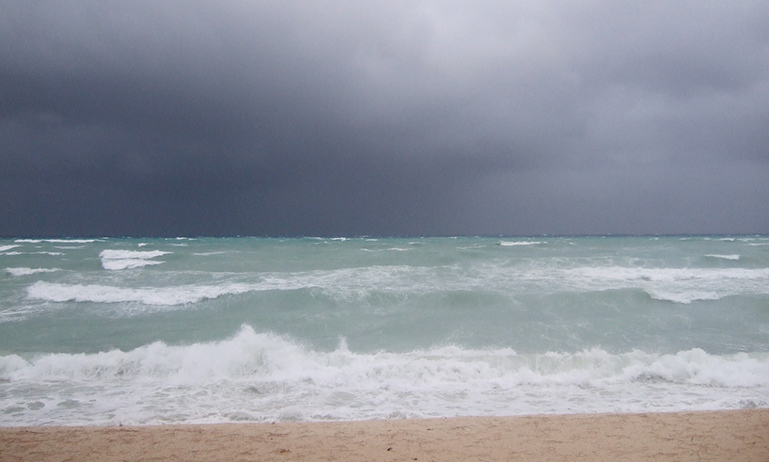 So at this moment as I write, we still don’t know for certain whether Hurricane Joaquin will hit land, and if so where. Stay tuned, and be prepared. That’s the real answer; there is no other. 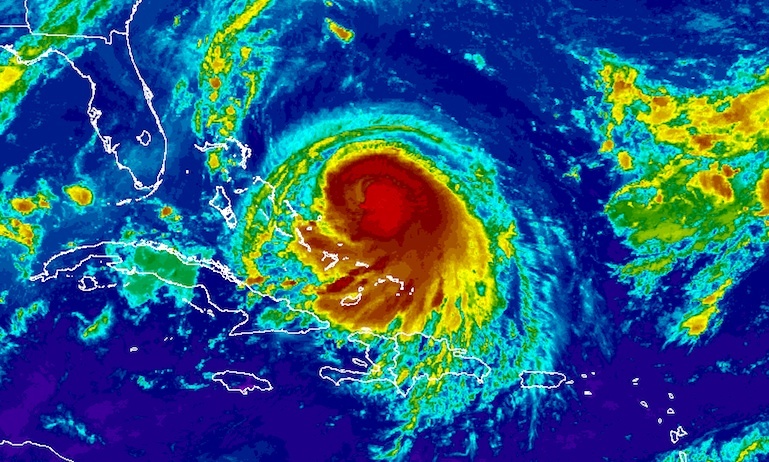 Joaquin strengthens, becoming the third named hurricane in the Atlantic this season. 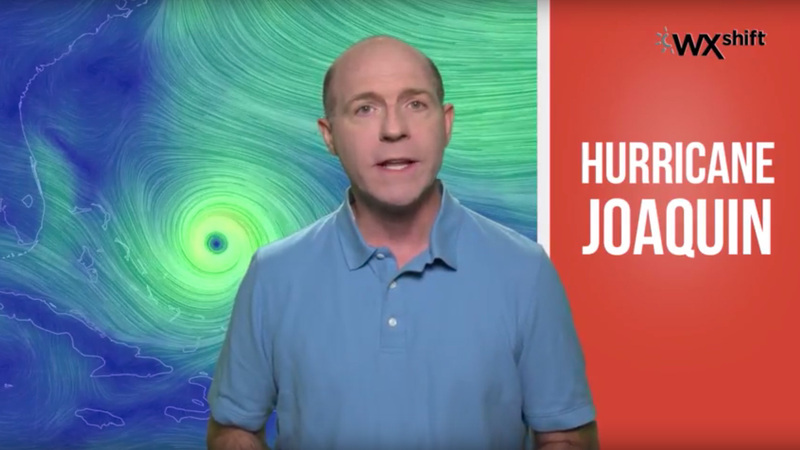 Meteorologist Sean Sublette tells us what we can expect from the hurricane as it tracks up the East Coast of the U.S.